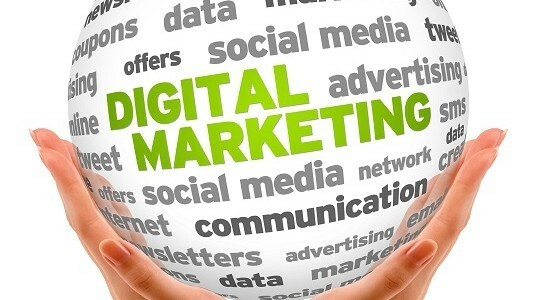 Home | Blog | Digital Media | Being a Digital Media Marketing Expert! The digital avenues have grown a lot over the years and will continue to grow in the coming years. As a product or a brand, you need to have a viable presence over the web. If you fail to tap these markets, you may lag behind your competitors. Many companies still give it the thought before investing in digital marketing as compared to the traditional media platforms. Some of these companies still believe that traditional is the way to go. With the internet penetration growing with each passing day, India has now opened up largely to internet based avenues. The Indian market is considered pretty lucrative for these opportunities. If you are looking to enhance your brand image and reach over the web, you must think of hiring a Digital Media agency. However, many individuals are now venturing into the freelance space. These individuals can be termed as Digital Media Marketing (DMM) experts. The majority of these individuals has represented the core part of the best advertising agency & are now doing things on their own. Aptly equipped to undertake the marketing and promotional needs of a company, their main job is to create the overall marketing strategy that can help a brand or a service grow. These professionals are involved with supervising a campaign or designing and delivering specific aspects in regards to a campaign. Yes, Digital Media is a vast spectrum. Though, with a bit of focus and dedication, you can crack the code of being a Digital Media Marketing expert. Customers and potential customers are now spending more and more time over the internet. I won’t say that the traditional channels have taken a back seat in today’s scenario, but, Digital has evolved as the new way to go. The advertisers and the clients are also following this suit now. Digital marketing is not a simple process. And, it is neither straightforward as the traditional techniques. The process is an amalgamation of several verticals. The best way is to crack the Digital Media technique is to learn & implement. To start your journey towards Digital Media expertise, follow the 3I formula. Investigate, Iterate & Implement. Keep your eyes open to the latest happenings in the digital world, be investigative about the latest trends, news, latest platforms and updates. The next step is to iterate, this basically means, following a flow repeatedly. You must have heard that Rome wasn’t built in a day! Digital Media works the same way. Keep iterating your search and learning process. This would help you stay in the loop with the latest without missing the main points. Finally, make sure that you implement these strategies and techniques properly. The key is to direct these things towards the proper segment. Being a Digital Media Marketing specialist means to be in sync with the lingo and be well versed with the digital marketing techniques. Having a proper understanding of the business metrics on the web provides an additional edge. It helps you analyze various campaigns and identify the plus points and the loopholes in each of them. Rather than hiring Digital Media executives with lesser experience, various agencies are now on a lookout for these specialists as they are updated with the industry jargon in a better way. The presence of your brand or a product command a huge value these days. As a Digital Media expert, you must build the potential to carve the perfect brand image for your clients. You must easily identify the consumer behavior along with a proper understanding about what the clients are doing online and what influences their social behavior. Make sure that you always keep a pulse on the News and are in sync with the latest happenings around the globe. Following this pattern can help you develop and implement interactive web based campaigns, utilizing online, email and mobile technologies. Once you ace these starting up things, you can explore the analytical and real-time report fields on online performances, email communications to further delve into the Digital Media Marketing space.